Author: Baron, Aileen Garsson Set In . . . 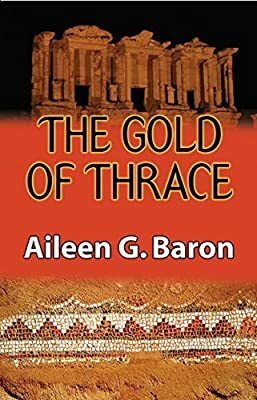 Description: When the first member of the staff at a Turkish excavation is murdered and a mosaic floor disappears overnight from her site, archaeologist Tamar Saticoy plunges into a shady world of the antiquities trade in the quest to discover who is responsible for the theft of important artifacts. Tamar traces the mosaic floor to Basel, Switzerland, where the captivating prince of antiquities dealers, Gilberto Dela Barcolo, and his enigmatic friend, Enzio Egidio, charm her. Soon she finds herself enmeshed in a tangle of deceit, theft, and forgery. Battling smoke and mirrors, she discovers that no one is who they seem. Two more members of the excavation staff are killed: her venal colleague Chatham, who has discovered a hoard of Thracian gold in Bulgaria, and Orman who--like Tamar--s following the trail of the stolen mosaic. Unless she can crack this case, Tamar herself may become the next target for murder.